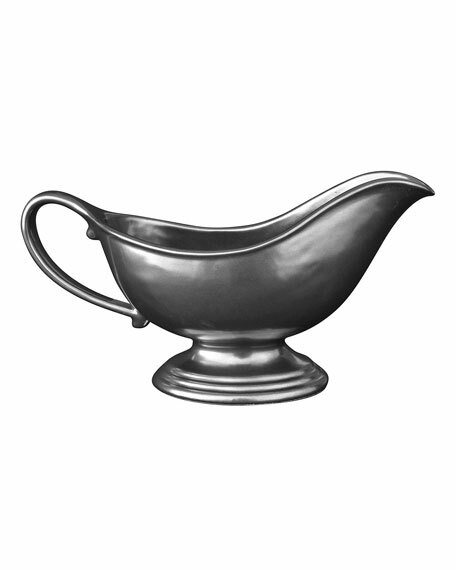 Gravy boat made of ceramic stoneware with pewter-tone finish. Approx. 9"L x 4.5"W; holds 10 oz.